AS THE SEPT. 26th presidential debate draws nearer, Clinton and Trump are left to face-off after Green Party Candidate Jill Stein and Libertarian Gary Johnson both fall short of qualifying. To make the stage, each candidates had to reach a 15 percent average polling rate. The Commission on Presidential Debates, the organization which sets the standard, reported Johnson polling at 8.9 percent and Stein at 3.2 percent, both far below Clinton’s 43 percent and Trump’s 40.4 percent. The non-partisan commission has been in charge of the general election debates since 1998. Evie Samuelson ’20 feels that the media has not distributed airtime fairly between the candidates. Both Stein and Johnson feel as though being excluded from the debate deprives voters of exposure to all viable options. Stein expressed these events as voter’s rights issues in an interview with CNN. “We will be at the debate to insist that Americans not only have a right to vote, but we have a right to know who we can vote for,” Stein said. The disqualifying results come about a year after both third-party candidates sued the Commission on Presidential Debates, claiming antitrust law and First Amendment violations. However, the case was dismissed by federal Judge Rosemary M. Collyer, stating that the First Amendment claims were inapplicable since the commission is not a government organization. Max Colmenares ’20 has mixed feelings on the 15-percent-qualifying minimums imposed on presidential candidates. “I think it would be good to at least lower the minimum, but it’s probably a good thing to have so not anyone can get into presidential debates,” Colmenares said. Though Johnson is doing almost as well as Ross Perot, the most successful third-party candidate in history, he recently made a comment that did not help his campaign. During an interview with MSNBC, Johnson asked, “What is Aleppo?” in response to how he would handle the current refugee crisis. This upset the public as it showed a lack of basic foreign policy knowledge. Stein has also recently experienced some negative publicity when she was issued an arrest warrant for spray painting construction equipment at a protest in North Dakota. Thea Crowley ’20 feels that it is important to take the matter of political awareness into her own hands before voting. 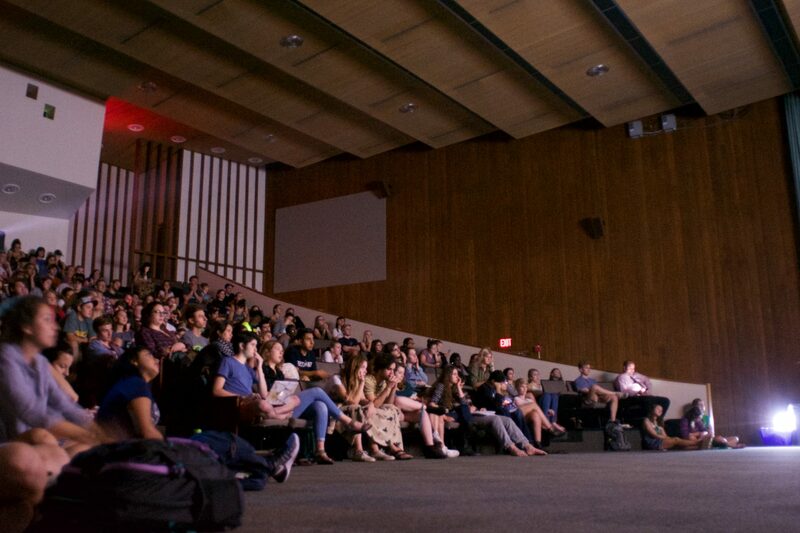 During previous national political events, there have been multiple opportunities in the Lewis & Clark College community to get together to discuss, view or learn more about the events taking place. 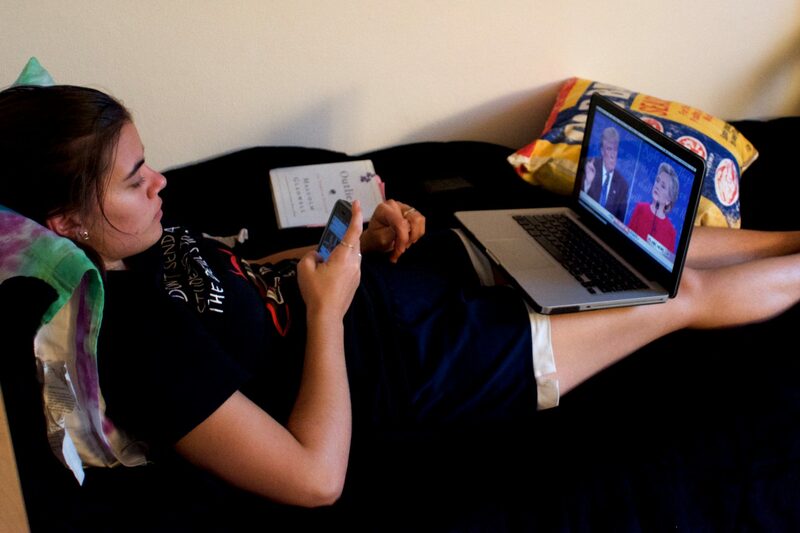 As the debates approaches, look out for upcoming watch-parties and other ways to get together on campus during this election season. Both third-party candidates plan to continue their campaigns in hopes of making the cut for the next debate (the 2nd of 3 total debates) scheduled for Sunday, October 9th.